(ELK GROVE VILLAGE., Ill., Mar. 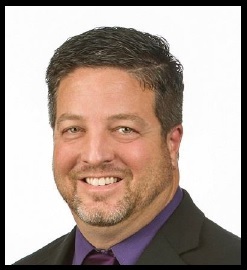 7, 2017) – DKI, North America’s largest disaster restoration contracting organization, announced their new Director of Business Development for DKI ProSupply Ken Copeland. Copland began on Monday, March 6, 2017. Copeland brings to DKI 15 years’ experience in different aspects of the construction industry, including plumbing during his most recent profession as a regional sales manager for Apollo Flow Products. He started his career during high school working with the Dwyer Group, where he learned about flood restoration and cleaning. Later, he opened his own business in Phoenix, Arizona for carpet dyeing, cleaning and restoration, bathtub refinishing and kitchen remodeling. In his new DKI role, Copeland will manage relationships with DKI ProSupply sponsors, expanding their partnerships and promoting their programs to DKI members. He will report to Sharon Marvin and work with Bill Boyce during a transitional period. Copeland remains in Phoenix with his wife of 27 years, Judy, and has one 25-year-old son, living in Denver, Colorado. During his free time, Copeland enjoys cooking and riding the windy Arizona mountain roads on his motorcycle.